The Elstead Lighting Kami Floor Uplighter Lamp Is Part Of The Quoizel Tiffany Collectibles Range, American Tiffany Style Lighting. This Lovely Tiffany Style Light Features A Hand-Crafted, Genuine Art Glass Shade, Created In Hues Of Amber, Caramel, Ginger And Emerald. The Glass Is Arranged In A Classic Art Nouveau Pattern. The Warm Colour Palette Creates A Harmonious Balance Of Light. 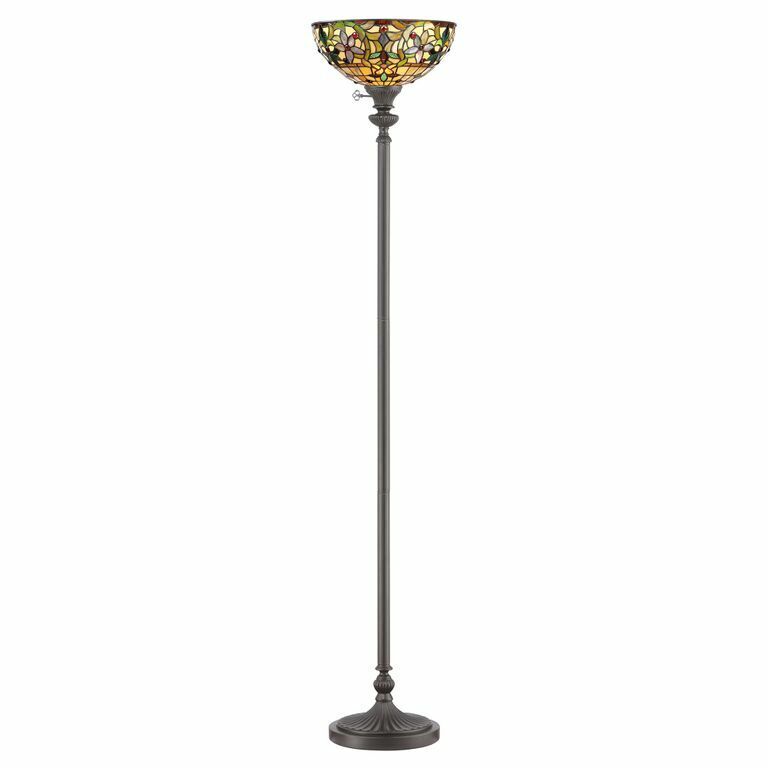 The Kami Tiffany Style Standard Lamp Contains 366 Pieces Of Glass And The Metalwork Is In A Vintage Bronze Finish.